Well… That was certainly not as bad as everyone expected it to be. 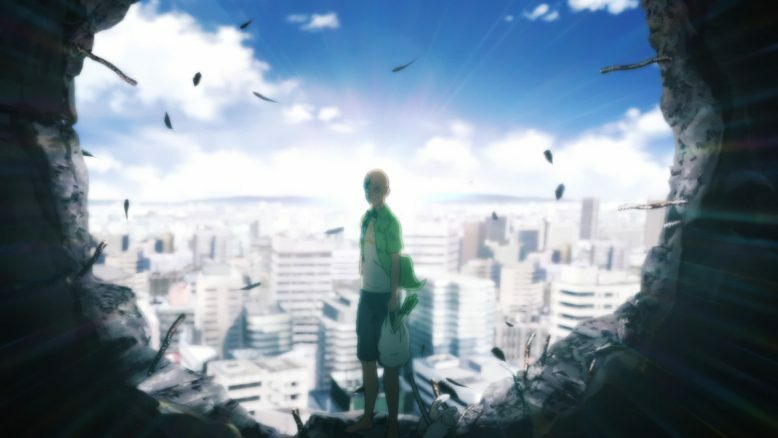 The lack of hype, expectation of disappointment and just general worry surrounding One Punch Man’s second season has been pretty much at its peak since the show’s first trailer and PV came out. 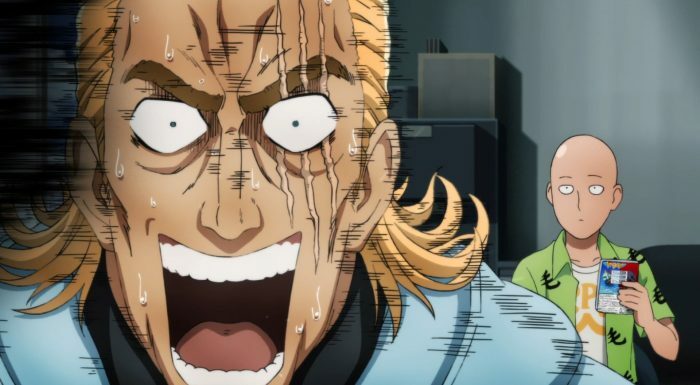 There have been tons of videos, essays, articles and even some analysis into why One Punch Man Season 2 doesn’t look as amazing as its coveted first season. 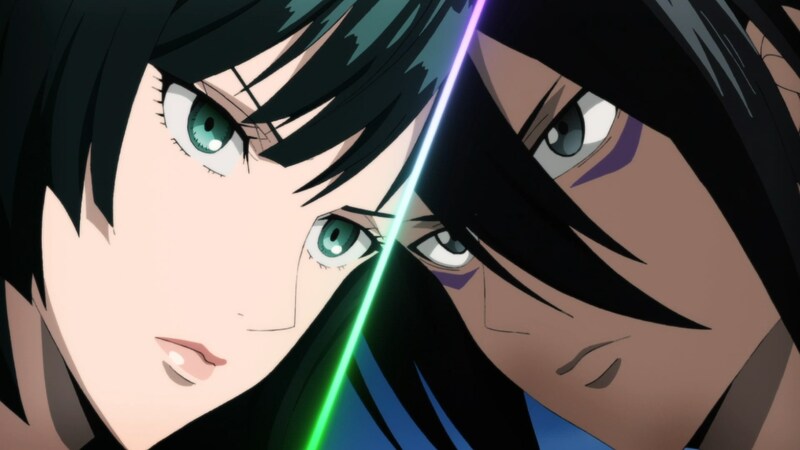 Some have identified the refusal of the people behind One Punch Man’s production committee to wait for both the first season’s director and Madhouse to open up their schedule. Some have blamed J.C Staff as a studio that just isn’t equipped to make something on the level of the first season of this franchise. Most, have just lamented and wished that this second season were just not happening, and that it would’ve been best to get a second season once Madhouse and director Shingo Natsume were ready. I was definitely from that camp, the camp of naysayers and just general people that weren’t too excited for this second season. I covered the first season when it aired a four years ago, and was definitely quite impressed with what we got then. Its easy to forget now, with studios like BONES and ufotable continuing to push the boundaries of what’s possible in TV anime, but at the time, One Punch Man was revolutionary. It combined the best animators in Japan, put them on one project and combined that with ONE’s excellent writing to create something truly amazing. And lets be clear, One Punch Man Season 2 doesn’t reach the heights of the first season. It just can’t, and while that’s certainly sad and disappointing, I will say that at the very least, the story and writing and comedy are pretty much still there. And surprisingly, while I always thought of One Punch Man as the show that basically lived off of its stellar animation and action, I’m starting to see that the writing may actually be enough to carry this series proper. There was no stellar fight sequence in this episode. You could actually see, in fact, that the show’s production staff was cutting corners and not focusing too much on the animation. Yet, this episode was still fun and interesting to watch. The comedy was definitely there, and each character that we’re familiar with, felt exactly the same as what we got four years ago. 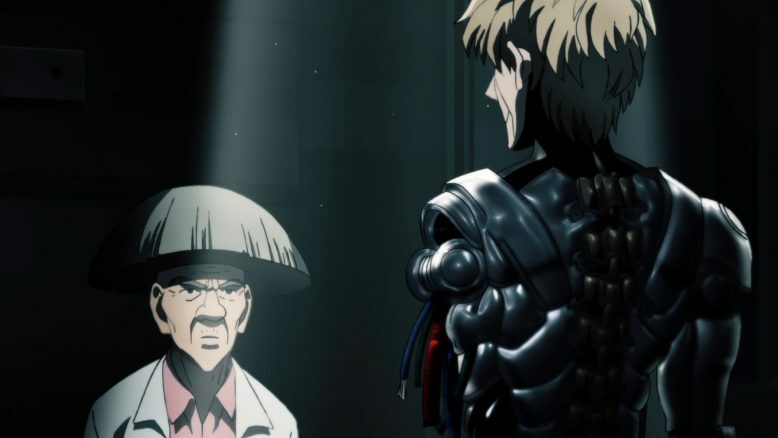 We got a little recap into Genos and his backstory, with the Kuseno scientist dude looking more and more shady every time we see him. 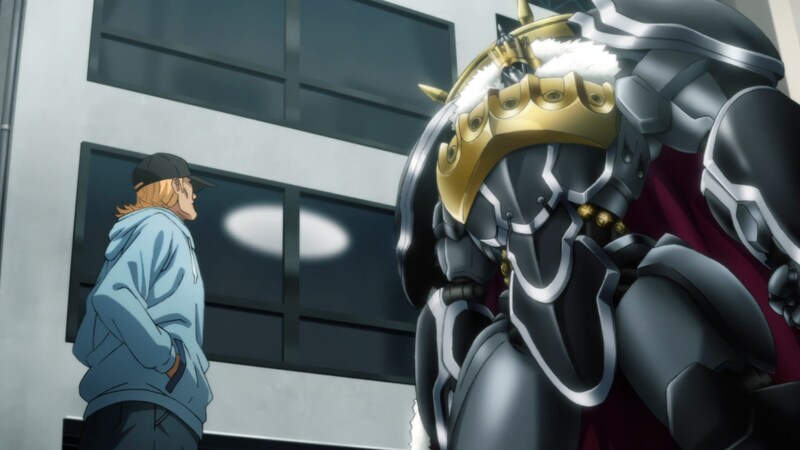 There’s the whole big scary Doomsday scenario coming, and of course the episode opened up with King, the touted strongest S class hero. Turns out King was basically getting credited for all of Saitama’s big victories, was really just a NEET Otaku gamer that looked more so the part than anything else. I particularly enjoyed his little interaction with Saitama, and Saitama basically becoming friends with him and hanging out reminded me of why I like the character so much. He’s no Mob, but the two characters are really cut from the same cloth. They’re written by the same mangaka after all. In any case, between the little story with KING, and the stuff at the end with Sonic and the new Lady Blizzard, it seems like we’re setup for some interesting developments. I originally wasn’t going to cover Season 2 of One Punch Man. As I noted on twitter, I’m kind of getting burnt out on seasonal anime. With the last few seasons disappointing me, both with my selections for new Shows and ongoing sequels, I’ve kind of been in a bad rutt where everything I’ve decided to cover has turned out not great. And One Punch Man Season 2 certainly has the potential to be a disappointment. It certainly isn’t the visual feast that the first series was. But I really do believe, that if I and other fans of the franchise go into this show with the proper expectations, then there’s certainly enjoyment to be had. One Punch Man was never a stellar story, but it was a fun one, and it had the occasional clever ideas that it would explore. 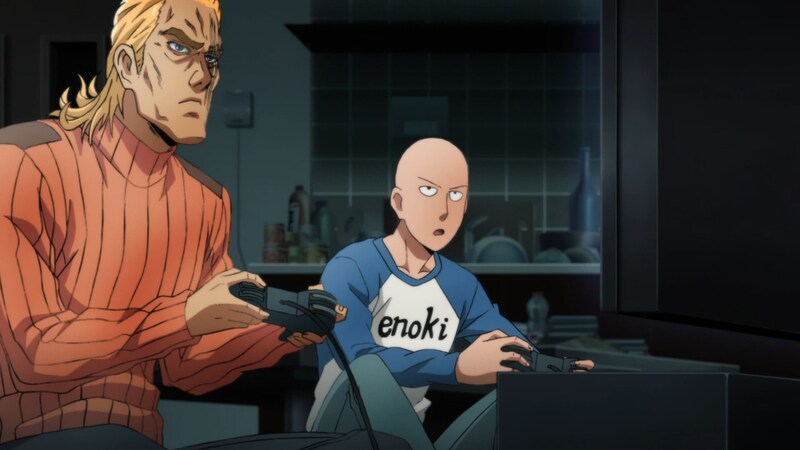 It remains to be seem if One Punch Man Season 2 can be anything other than just fun and a good time. But even if it can’t, I think that’s fine. Sometimes we just need shows that entertain, and involve us a bit. And I think One Punch Man Season 2 does that, despite my reservations and fears. So I’ll cover this show this season, and just see how it goes. For now, I am engaged and interested, and for One Punch Man Season 2 and J.C Staff, that’s quite the win.